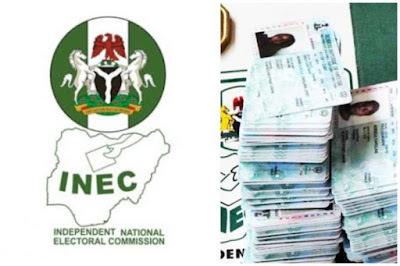 Following the recently concluded local elections, the Independent National Electoral Commission (INEC) have been accused of using the unclaimed Permanent Voter Cards in its possession to accredit ineligible voters for the recent Governorship and State Assembly elections in Plateau State. Available data shows that of the 2,480,455 registered voters in Plateau State, only 2,095,409 voters collected their PVCs, leaving INEC with 385,046 unclaimed cards. INEC had said it had deposited all the unclaimed cards at the Central Bank of Nigeria, CBN for sage keep but a local observer group, Plateau Peace Movement International (PPMI) says the body used the unclaimed cards to carry out "secret accreditation at various corners" in the State. In a Press conference, Friday in Jos the Plateau State capital, the group led by Rev. Joseph Bot also alleged that INEC hired card carrying members of the ruling All Progressives Congress party as Returning Officers. The Officers according to PPMI "imported figures to suit their Party" during the polls. It also accused INEC of denying Observers the chance to monitor elections in some areas while relocating certain collation centres to Government facilities including the State Government House. "It was gathered that Quaanpaan, Shendam collation centres were translocated to somewhere in Government House, Rayfield," the group said. Aside the swapping of smart card readers between polling centres, INEC changed result sheets and cancelled "genuine votes" in some polling units without 'tangible' reasons," Observed PPMI. The group therefore called for the cancellation of the entire elections in Jos North, Shendam, Wase, Kanam, Qua'anpan, Langtang South and Mikang Local Government Areas. It also called for the resignation of the Plateau State Resident Electoral Commissioner of INEC, Mr. Halilu Pai.